Last week, "Survivor: Thailand" creators showed how unwise it is for any contestant to make assumptions in the game. Shii Ann Huang, the 28-year-old executive recruiter from New York City, mistakenly assumed that a merge had occurred between the two tribes. She considered jumping ship on her Sook Jai tribe members and forming a voting block with Chuay Gahn. However, there was no merge and Shii Ann's strategy backfired as her tribe voted her off the game. This week, tensions between the original two tribes are at an all-time high. The two tribes are sharing one beach, but still haven't merged. One contestant is particularly disgusted by the other tribe's hygiene habits in their new home. 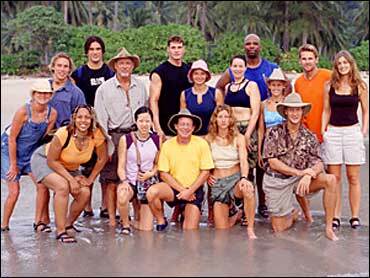 During their time together, members of the original tribes feel each other out about the possibility of alliances, a Survivor holds a funeral for the last-to-be-eaten chicken and the contestants take on possibly the most dangerous challenge yet. At the end, one contestant will be voted out. That person will be interviewed Friday morning on The Early Show.